That bounty is several containers of pasta, four containers of chili, and one of leftover taco meat (from tonight’s dinner). 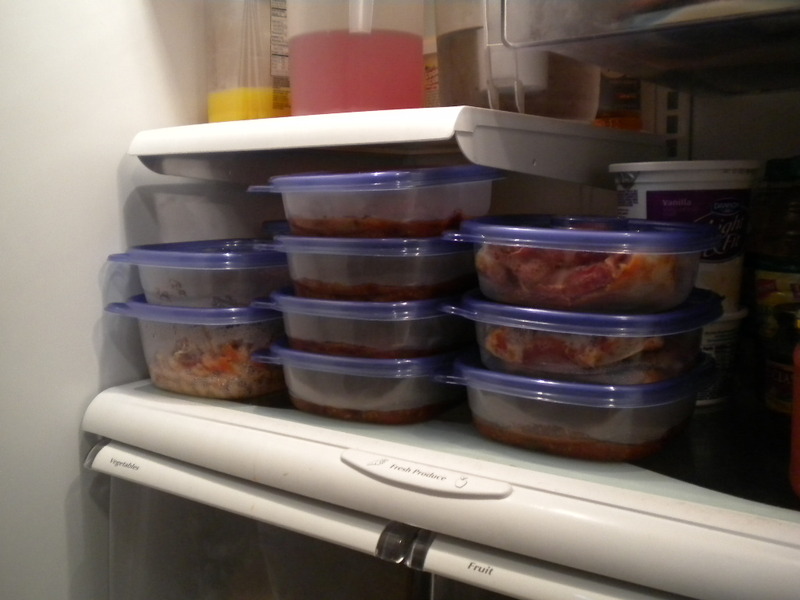 There’s even a second layer of containers behind those you can see – one last cup of marinara that I made a week ago. It isn’t glamorous, but there’s plenty of comfort food that can be taken for lunches all week long. Plus, I managed to use up almost all of this week’s CSA box already! The only things left are the salad mix, green beans, zucchini, and some of the garlic. That should all make some great side dishes for evening meals. It makes the prospect of another crazy week seem more manageable to have so many meals taken care of. Sorry it isn’t more exciting cuisine to share recipes, but tis the season! This entry was posted in CSA, Dinner, Lunch on September 3, 2011 by theneighborboys. I think that is VERY impressive! That fact that you used so much of the box already and you are so organized for the week to come. What a great plan and I am sure everything tastes great too! Great idea! We ate a great amount of the tiny salad greens and cherry tomatoes last night and they were so delicious and sweet. I love the Haymaker Farmer’s Market, and after going there first in the morning and then going to Trader Joe’s in the afternoon, it really made us realize how lucky we are to have such a great market on Saturdays in such a small town. I am hoping that Lucky Penny Creamery still does a Winter Farmer’s Market so we can still go on Saturdays! 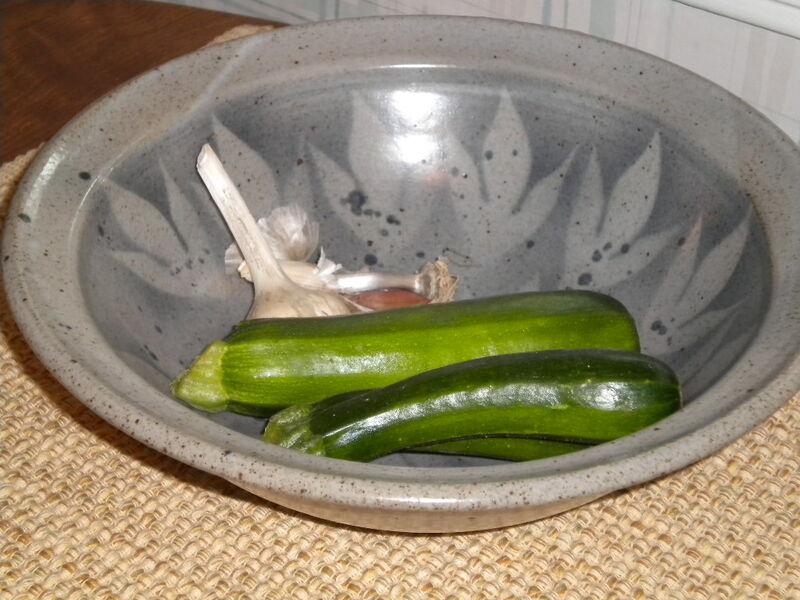 On another note, who made that lovely bowl that the zucchini are in? Was it your former teacher? Yep, the bowl was made by an art teacher from my hometown named Joe Leach. I have several of his pieces and love them all!